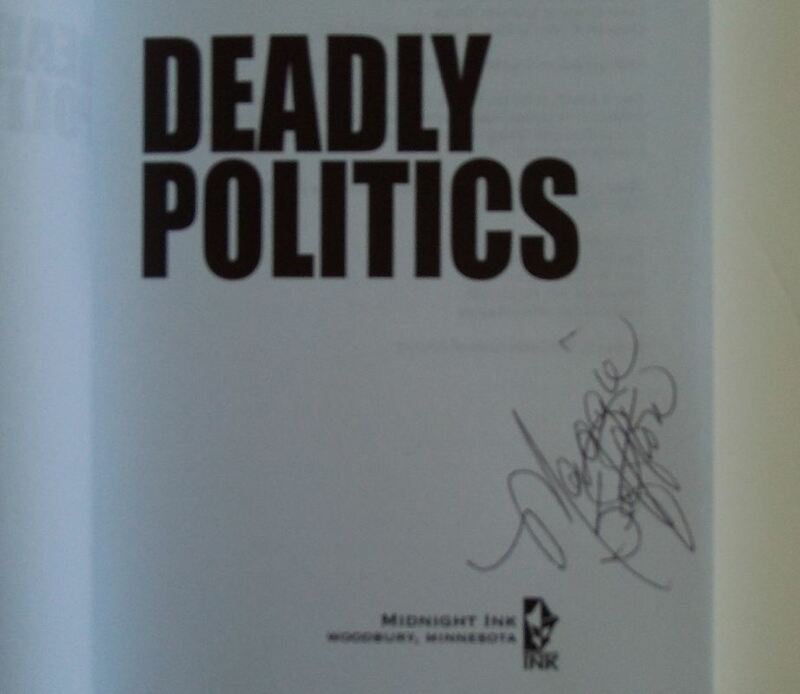 Courtesty of Midnight Ink Books, we have an AUTOGRAPHED copy of Deadly Politics by New York Times Bestselling Author Maggie Sefton. As a senator’s daughter and the widow of a congressman who died tragically, Molly Malone was driven from Washington, D.C. by political backstabbing, scandals, and threats — as well as personal heartbreak. But after getting thrown out of her ex’s Denver condo and losing everything in the market crash, Molly is starting over in the one place she swore she’d never return to. 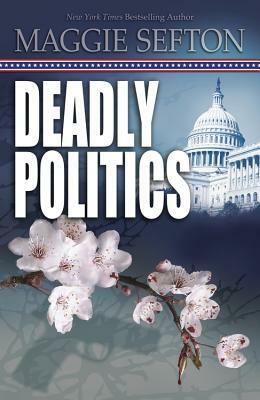 When the accounting job she was promised falls through, Molly reluctantly agrees to work as a consultant for a senator. Days after learning that her niece, Karen, is intimately involved with a congressional chief of staff — and that Karen had discovered suspicious campaign contributions — Molly finds her niece shot to death. Investigating further puts Molly in the crosshairs of a shadowy group that’s orchestrating a political plot . . . and killing anyone who gets in the way. *NOTE: This book is an ARC (Advance Reader’s Copy)/Uncorrected Proof and not a retail version for sale.